It's day 72! So what you might ask? Well, day 72 means that I successfully completed the "no sugar for 70 days challenge" 2 days go! I'm so so so so SO proud of myself. Honestly! I could jump for joy! I feel different now, somehow. Not physically (not that I noticed anyway) but inside. Like I've crossed a threshold, and I'm now moving to a new stage. Dunno what it is but I like it! I've finished Phase One (no sugar) and Phase Two (lots of days of juice until lunch), which means now is time for Phase Three! juice feast (not fast) for as many days as I can, from June 1-10th. I don't know how long it will be (it's my first time), and I'm going to take it day by day. Or juice by juice if necessary! So that's why the 2-part plan for Phase 3. 2 weeks of part 1 and 2 weeks of part 2 ought to be enough to help me transition to just juices and tonnes of water starting June 1st. :) I have no doubt my mind is going to play a big part of it, for good or bad. I'm planning on being as kind, and non-judgmental to myself as I can be, both during the juice feast and in the month leading up to it. Over the 70 days of the processed sugar challenge, I learned that I got a LOT further, a LOT easier, by being kind to myself and not stressing about it, just doing it. So that's going to be my M.O. over the next 6 weeks or so. Being kind, patient with myself, and allowing it to happen. 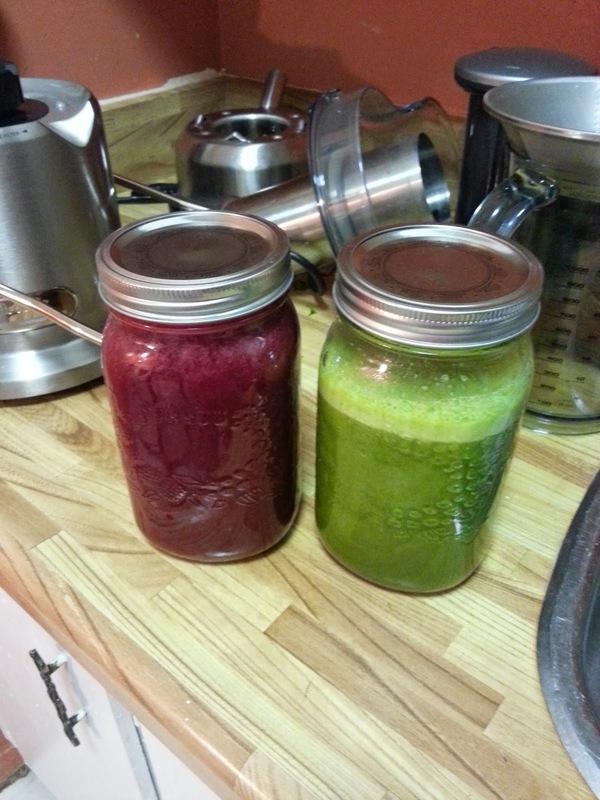 To enjoy myself, and enjoy the benefits of the juice, including detoxing. Definitely better out than in!